The back of the photo is stamped AGIP Robert Cohen. I think the year was 1965 or 1966. I purchased the photo at La Galcante in Paris. 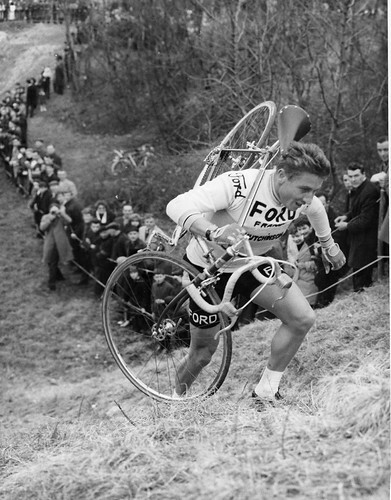 Anquetil is one of the legends, and the first to win 5 Tours, but I didn’t know he raced Cross in the 60s. Uploaded by MGMatt | more from the Bike Hugger Photostream.